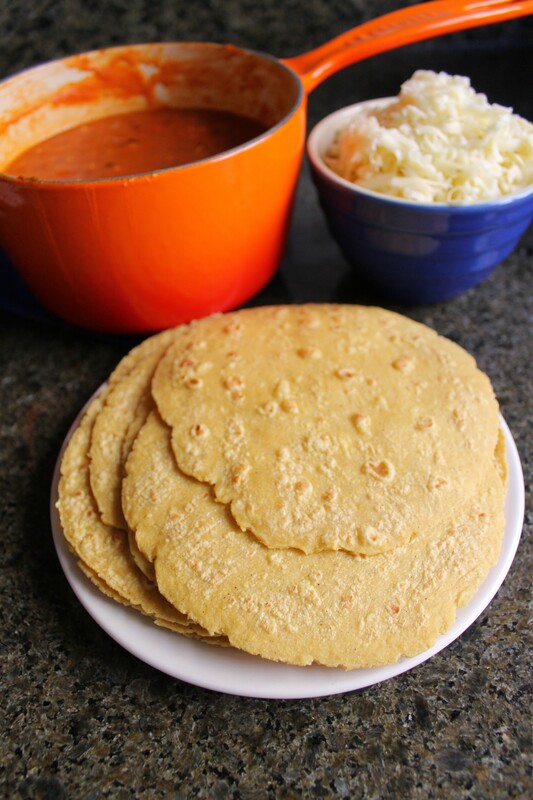 This take on cheesy goodness tucked into tortilla sleeping bags is more labor intensive than my last ones, but is a great freezer option and can be made in bulk to make it more effective. It’s also super tasty, which helps. Buy pre-shredded cabbage (I know, totally cheating, but Trader Joe’s had so many people stuffed into it I felt like a bit of an enchilada myself. I had to grab the closest thing to me and run for my life). Heat the oil in a medium saucepan over medium heat and, when hot, add the flour. Cook for 1-2 minutes, stirring frequently. Add the onion and garlic and cook for 5-10 minutes, or until soft. Add tomatoes and spices, cooking for another 3 minutes with lots of stirring. Add tomato sauce and stock and bring to a simmer. Cook for 15 minutes, or until thick. Remove from heat. In a large sauté pan over medium heat add the olive oil and and, when hot, add the sliced onions. Cook until soft, about 10 minutes, then add the cabbage and stir to combine. Caramelize until brown and jammy, about 25-30 minutes. 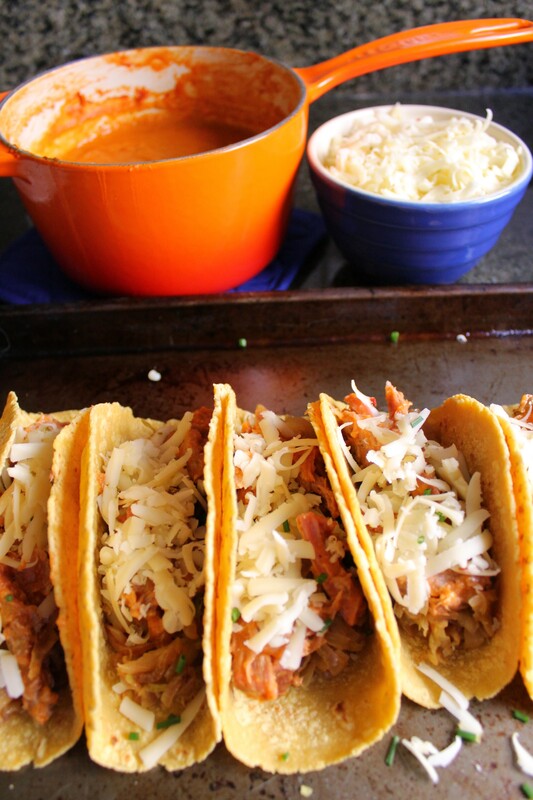 Meanwhile, shred the carnitas and spoon in some of the enchilada sauce to wet them. Butter a 9"x13" pan, coat with a thin layer of sauce, and set aside. 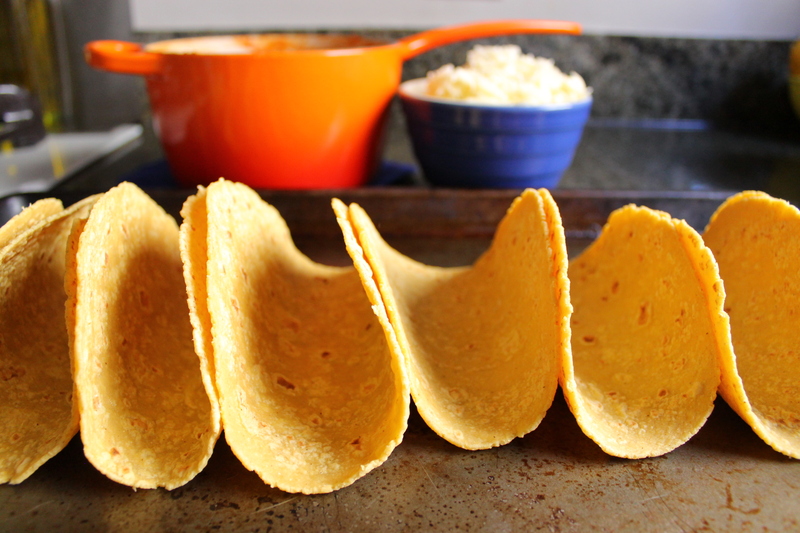 On a large baking sheet, line up the tortillas. You can see how I do it in the pictures to make it easy and space-saving: accordion style, with the sides leaning up against each other. 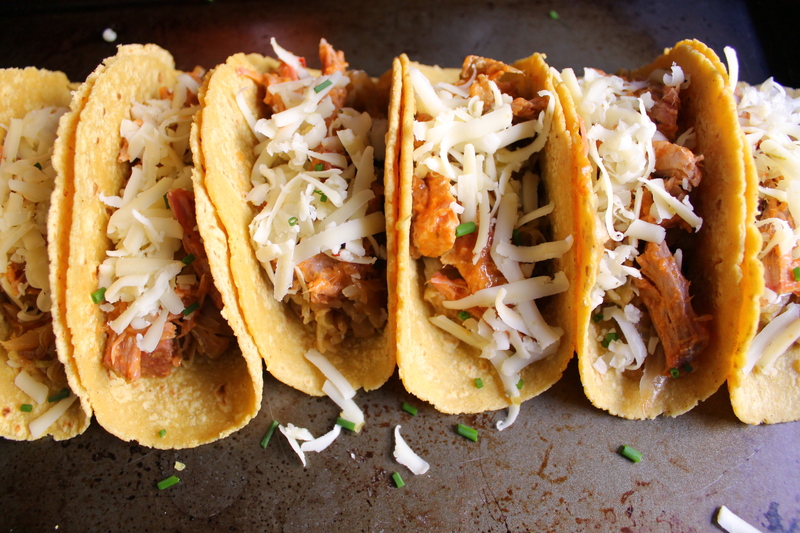 Spoon in a tablespoon of sauce, ¼ c carnitas, ¼ c cabbage-onion mixture, and a sprinkle of cheese. (some people like to dip the tortillas in the sauce...I find this messy and unnecessary). 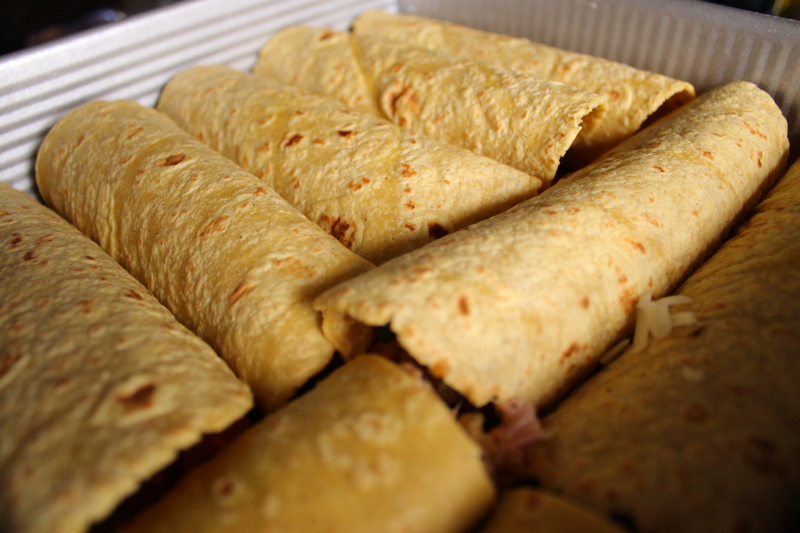 If you have leftover filling and there is space in the tortillas, divide it up. If not, put aside for a burrito or omelette. 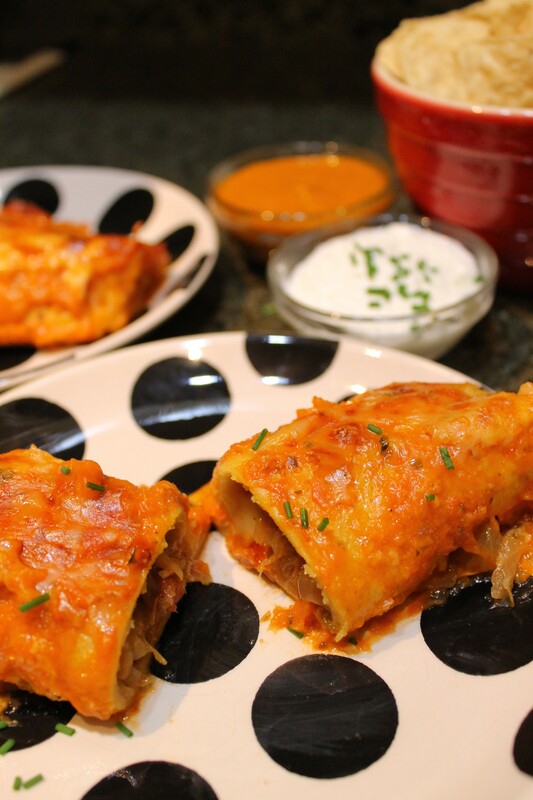 Roll up each enchilada and place seam-side down in the prepared pan. When all of the enchiladas are tucked in, pour over the remaining sauce and sprinkle on the remaining cheese. Bake at 375 for 15-25 minutes, or until browned. I like to turn on the broiler at the end to get them really crispy on top. Serve with a dollop of sour cream, salsa, guacamole-- whatever suits your fancy! Nom!